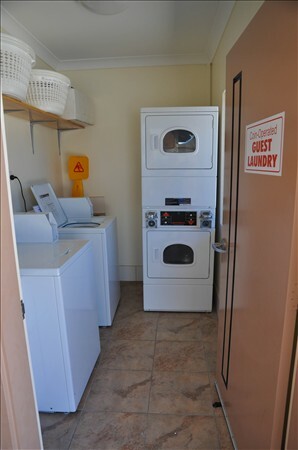 Our coin operated Laundromat is open 24 hours with coin operated washers and driers for your use or we can do your washing and ironing during your stay with us. Dry Cleaning can also be arranged with a two day turnaround time. Clothes dry quickly here in the Dry Tropics and our clothes line is available for you.